EE TV box now available to purchase at EE stores nationwide | What Hi-Fi? EE TV, the new set-top box that comes with the promise of more than 70 Freeview channels, on demand content and catch-up services, is now available to purchase from EE stores nationwide. The new platform is described by the company as the "UK's most advanced", and is designed to place mobile at the centre of your viewing experience, with the platform spanning TVs, smartphones and tablets. And the good news for new and existing EE mobile customers is that EE TV can be yours for free - if you also subscribe to a broadband plan from the company costing £9.95 a month or more. So, what do you get with EE TV? Multi-screen is among its features, which will let you pause, rewind or record live and recorded content on up to four devices at the same time – handy if your household has differing tastes. The Replay feature lets you choose six of your favourite channels to record, which means you'll not miss anything from the previous day. Restart, meanwhile, starts the programme again. And in addition to over 70 Freeview channels – 13 of which are in HD – there are a full range of services such as BBC iPlayer, Demand 5, YouTube and Wuaki.tv included as part of EE TV. 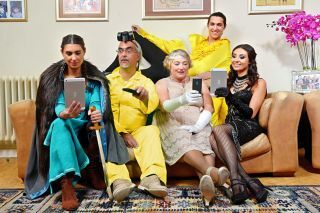 EE chief marketing officer, Pippa Dunn, said: "With EE TV, we have combined our expertise in mobile and home broadband to develop a game-changing home TV service that you can watch on your smartphone and tablet, as well as your telly. "EE TV offers exceptional value for money, is simple to set up and use, and comes with market-leading features which really do allow customers to create a unique personal viewing experience."